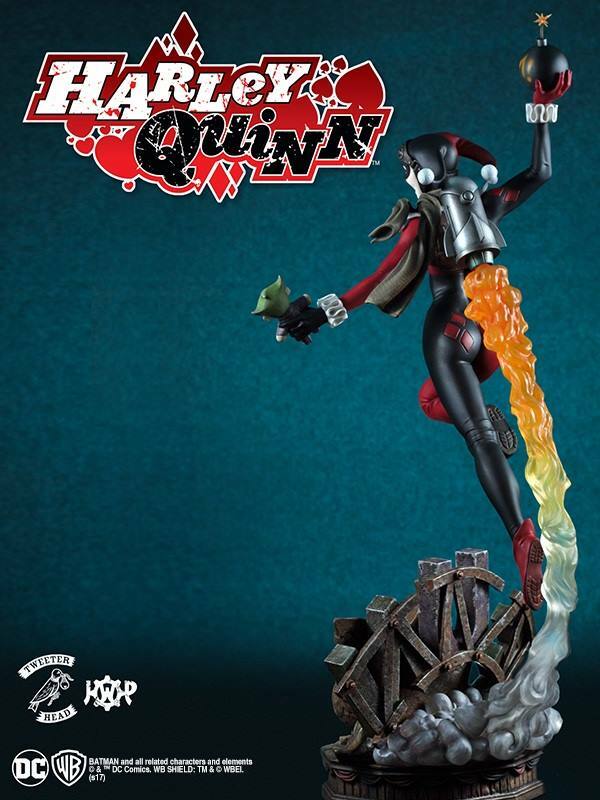 A new line of DC Comics Statues has been announced by Tweeterhead. 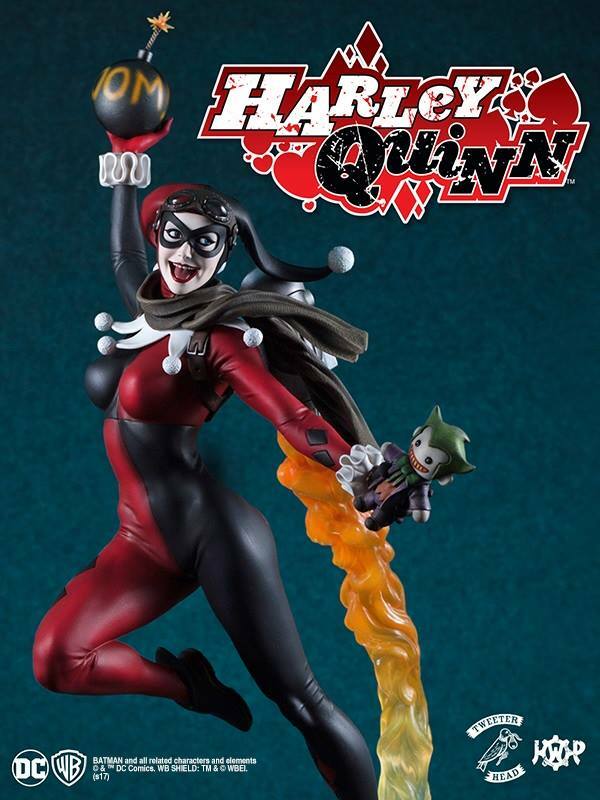 This new line of maquettes will consist of many DC Comics characters, redesigned by Tweeterhead, but still inspired by their iconic looks. They revealed that they currently have 10 characters in various stages of development, and will eventually turn to fans looking for feedback on who else should be added to the line. 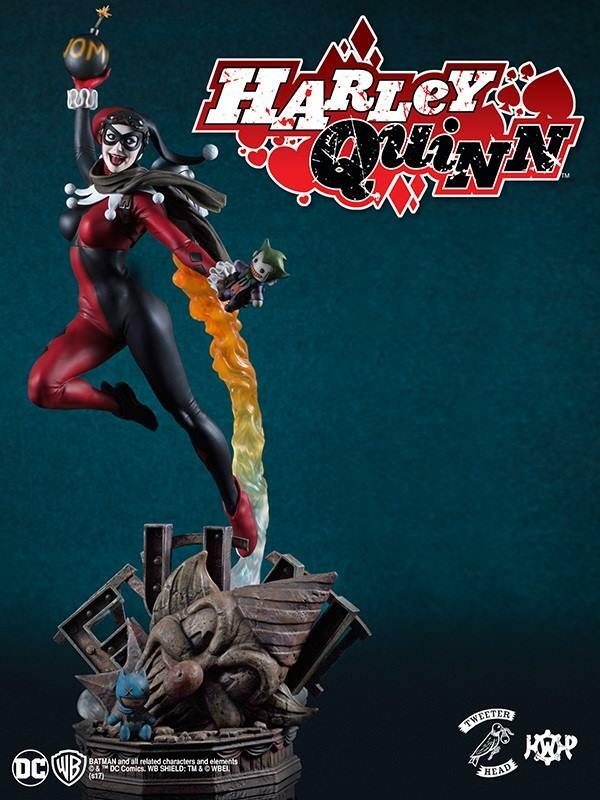 They are kicking off the new line with an impressive Harley Quinn Maquette. 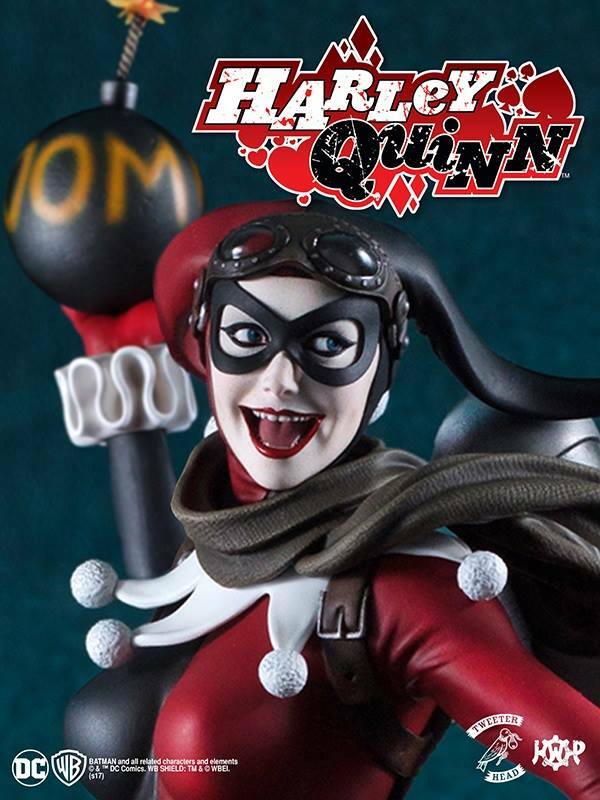 Fans can now pre-order the Harley Quinn Maquette by Clicking Here. See the details below and read on to check out all of the new photos. 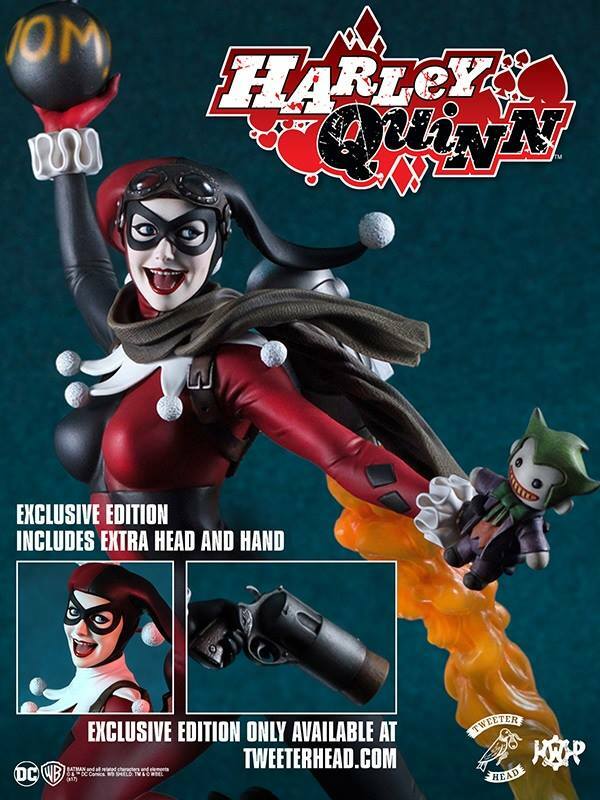 The TWEETERHEAD limited Edition exclusive includes an extra head (not wearing goggles/scarf) and hand (pop-gun hand). 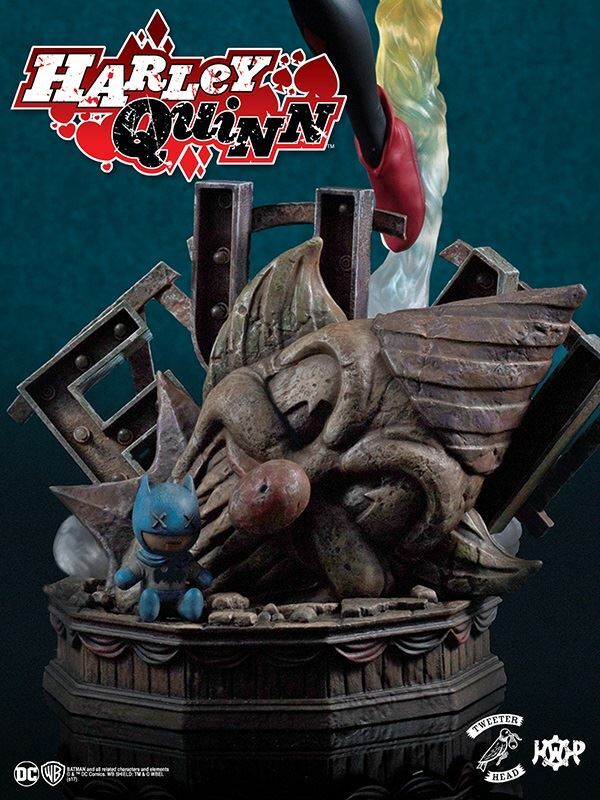 Harley’s concept, design, printing and paint work is by none other than Jason Wires of Jason Wires Production. Jason is a huge DC Nut and his passion for these characters is incredible!! 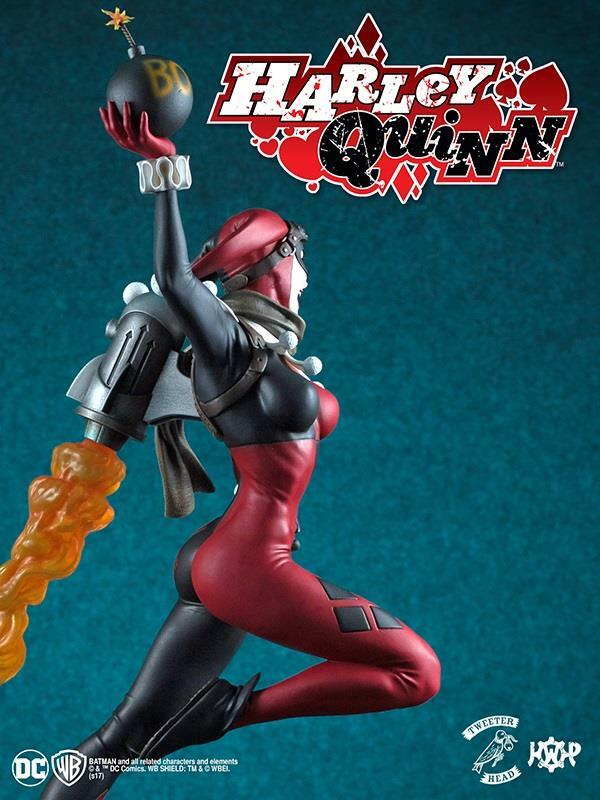 I think it really shows in this Harley Maquette. 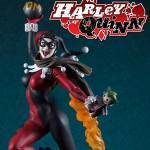 The follow ups to Harley that we’re collaborating on will blow your mind!!! 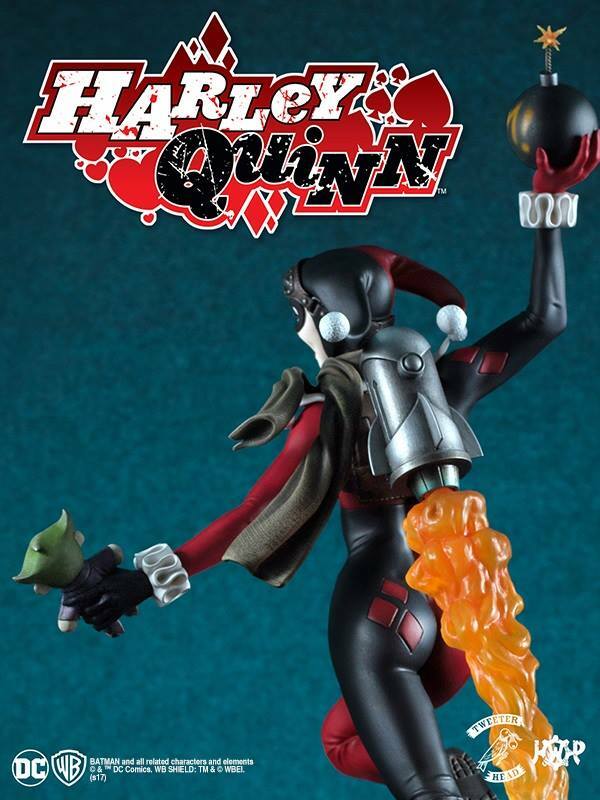 Harley goes on Pre-Sale next Tuesday, May 30th! 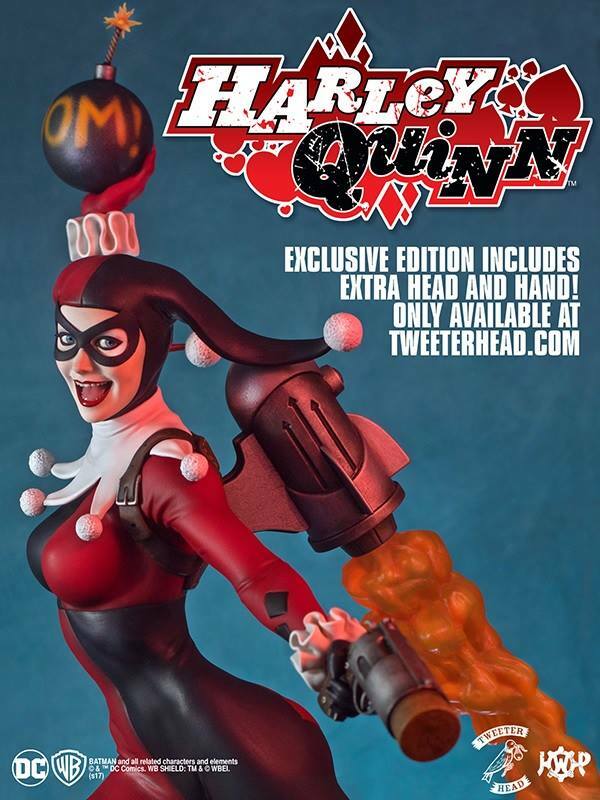 Regular Edition will be sold at your favorite retailer on Tuesday as well.